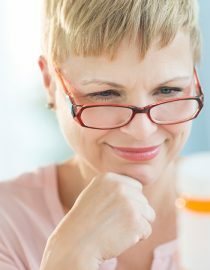 Antidepressants for Menopause: Are They Right for Me? 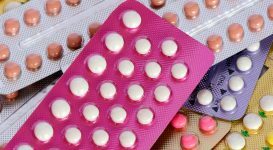 Should You Take Antidepressants for Menopause Symptoms? Menopause in the media is often portrayed in a comedic way with women turning psychotic – purely for entertainment. However, the reality of perimenopause and menopause for some women is not at all funny. Many women deal with feelings of isolation, anxiousness, depression, and hot flashes. 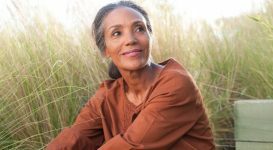 As menopause is a natural progression of life, not an illness, some people can be dismissive of others experiences. Women may endure entirely different symptoms and experiences during perimenopause or menopause. Firstly, if you recognize that you might be feeling sad, anxious, depressed, lethargic or suicidal, it’s important to seek help as soon as possible. There are online chat rooms and message boards if you don’t feel up to face to face conversations with friends. You might find that speaking to strangers about how you feel easier than admitting to friends or family that you don’t feel like you are coping. 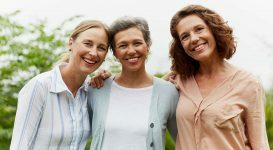 Larger towns and cities may have support groups you can go along to – check out the meetups organization which coordinates meet ups for those journeying through menopause. Whether it’s physical or psychological issues you are finding difficult, there’s sure to be others out there feeling similar stress. The best thing you can do is talk with your doctor. You may find whether you are seeking help for anxiety or sadness, or for physical symptoms, and may offer you numerous treatment options including antidepressants. This may leave you feeling conflicted about antidepressants. Others worry that they will come with huge side effects, or be addictive leading to a life of pill popping. The media is guilty of publishing scare stories about some varieties of anti-depressants. Selective Serotonin Reuptake Inhibitors (SSRI’s) like Prozac, in particular, have received bad press after it was revealed some people taking them could become suicidal, especially in the first few weeks of starting a course. Reading past the headlines though will show that on the whole antidepressants, including SSRI’s, are safe, especially when package instructions are followed to the letter. For instance, if you read the paperwork with SSRI’s it states that if the patient starts to feel worse, they should immediately seek emergency help, even if that means ringing an ambulance. Backing away from the extreme – there are millions of people across the globe who take antidepressants regularly with no drama and to great effect. How Can Antidepressants Help My Symptoms? 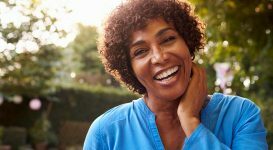 There is a wide range of antidepressants available, and some of them are occasionally used not just to relieve depression or anxiety but to combat other menopause symptoms like hot flashes and night sweats. Your physician may prescribe you a low dosage at the beginning to help manage symptoms. 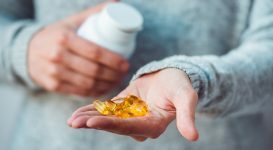 Doctors will often recommend antidepressants for these symptoms if estrogen supplements have proved unsuccessful or if there is a reason the woman affected can’t or won’t use hormone replacement therapy and other non-supplement methods have been ineffective. If antidepressants are advised to alleviate depression, stress or anxiety, many types can be taken alongside hormone replacement therapy. Your doctor will discuss options with you – some antidepressants cost more than others, some are more suitable to be taken alongside other medications. Antidepressants are to be taken daily before you see any change in symptoms, mood or sleep patterns. It’s important to keep in touch with the person or organization responsible for prescribing them and report any side effects. Most side effects disappear after a few weeks, and the vast majority of people who take antidepressants go on to live a normal, happier life. Can I Become Addicted to Antidepressants? If you are concerned about becoming addicted to antidepressants – this is not possible. There is a phenomenon called Antidepressant Discontinuation Syndrome may cause temporary symptoms and is interpreted as withdrawal symptoms. Feelings of sadness, anxiety or fatigue. 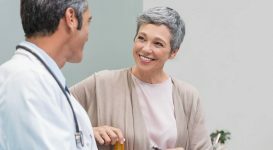 This is why you should never decide to just suddenly stop taking antidepressants without support from your doctor – if you choose you want to discontinue treatment your doctor may suggest a gradual reduction in dosage to limit such symptoms. 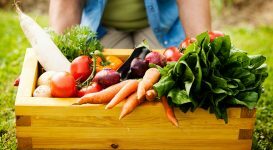 If you are still hesitating about antidepressants for menopause-related anxiety, stress or depression or to alleviate other menopause symptoms – don’t. We are lucky to have these medications available to us and if you decided they are right for you, don’t feel you have to explain or apologize to anyone. You certainly won’t be alone taking antidepressants – 1 in 6 American’s take antidepressants so almost certainly there are people you know who use them to ease symptoms. The timing of menopause and empty nest syndrome often coincides, so you may find it unexpectedly difficult to see your children go when they leave the nest.